Urban hipsters and sneaker pimps should be familiar with Jeff Staple’s (@jeffstaple) catalog of work. His Nike Pigeon-inspired collection speaks for itself. But aside from working with major companies like New Balance, Sony, and Microsoft, dude recently linked up with headphone giant Beats By Dre. 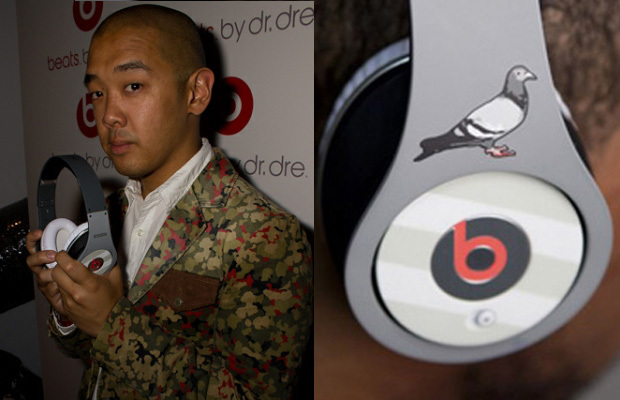 The end result: the Beats By Dre Staple Design Collection. We caught up with the urban design icon to discuss the new BBD/Staple Design partnership, his trademark Pigeon logo, cross-branding apparel for the headphones, and future BBD collabs. Dr. Dre, hear his pleas. Peep our exclusive interview below, also check out screens of the only-500-manufactured Studio headphones from our launch party gallery.